1.1: Introduction to module content: outline of module, readings, essays, &c.
1.3: Who we are (2): an introduction to the Anglican Communion today. ● The Lambeth Conference, first called in 1867 and now meeting every 10 years – the last meeting was in Canterbury in 2008. The Anglican Primates agreed at their meeting earlier this year to support the Archbishop of Canterbury’s intentions to call the next Lambeth Conference in 2010. 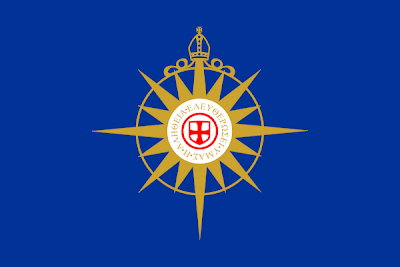 ● The Anglican Consultative Council, formed in 1968. ACC-15 met in Christchurch, New Zealand, from 27 October to 7 November 2012; ACC-16 took place in Lusaka, Zambia, this year [8-20 April 2016].The Church of Ireland members are the Revd Dr Maurice Elliott (Director of the Church of Ireland Theological Institute) and Mr Wilfred Baker (Cork). ● The Primates’ Meeting, which takes place every two or three years. The latest meeting took place earlier this year in Canterbury [11 to 15 January 2016]. Two previous meetings have taken place in Ireland: in Dromantine, near Newry (2006), and the Emmaus Retreat Centre in Swords, Co Dublin (January 2011). The Primates agreed to meet again in 2017 and in 2019. ● The secretary of the Anglican Communion Office, the Most Revd Josiah Idowu-Fearon, who succeeds Canon Kenneth Kearon, who became Bishop of Limerick last year [24 January 2015]. 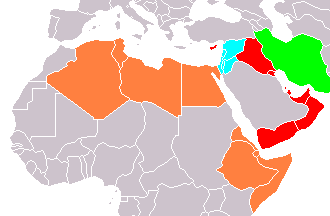 A variety of languages is in use throughout the churches of the Anglican Communion, both in the liturgy and in the common, spoken language of the people. At meetings of the Parochial Church Council in the Church of the Resurrection in Bucharest, I have heard prayers in both English and Romanian, the walls of the church are decorated with icons with inscriptions in English, Greek, Romanian and Church Slavonic. Until recently, the chaplain was the Revd Patrick Irwin, from a well-known Irish clerical missionary family, and the church celebrated its centenary three years ago [20 October 2013]. 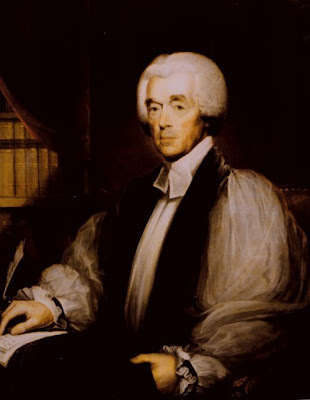 Canada: The first Anglican bishop in Canada was Charles Inglis from Glencolumbcille, Co Donegal; Toronto has often been called the ‘Belfast of Ontario.’ He is commemorated in a memorial plaque in the south aisle of Saint Patrick’s Cathedral, Dublin. Initially, it may be said, Anglicanism of the English variety followed not only the colonial flag, but also trade and commerce, and the penal system. But it soon started to spread too due to the endeavours of the missionary societies, including the Society for the Promotion of Christian Knowledge (SPCK, 1698); the (United) Society for the Propagation of the Gospel (SPG, 1701, later USPG – Anglicans in World Mission, and, now simply Us); and the Church Mission(ary) Society (CMS, 1799), which is commemorating the bicentenary of its presence in Ireland last year (2014). 2.1, Early Irish Christianity and the Anglican reformations in the 16th century. 2.2, The Tudor, Stuart and Caroline settlements. (Revd Canon Professor) Patrick Comerford is Lecturer in Anglicanism and Liturgy, the Church of Ireland Theological Institute. This lecture was part of the Module TH 8825, Anglican Studies in an Irish context, with part-time MTh students (Years III-IV) on 8 December 2016. December 2016 to January 2017. (1), accepts and believes all ‘the Canonical Scriptures of the Old and New Testament, as given by inspiration of God, and containing all things necessary to salvation,’ and continues to profess the faith of Christ as professed by the Primitive Church. (3), as a reformed and Protestant Church, reaffirms ‘its constant witness against all those innovations in doctrine and worship’ that have ‘defaced or overlaid’ the ‘Primitive Faith’ and that were disowned and rejected at the Reformation this Church did disown and reject. 3, Thirdly, the Church of Ireland is committed to maintaining communion with the Church of England, and with all other Christian Churches agreeing in the principles of the Declaration, and seeks ‘quietness, peace, and love,’ among all Christians. 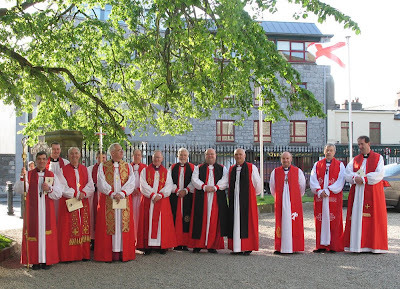 4, Fourthly, the General Synod, consisting of the archbishops and bishops, and of representatives of the clergy and laity, is the chief legislative and administrative power in the Church of Ireland. Does that tell the casual reader of The Book of Common Prayer enough about the Church of Ireland? 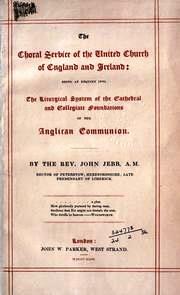 ● is part of the worldwide Anglican Communion which has 70 million members in 164 countries. ● is an apostolic church, maintaining an unbroken link with the early apostles and drawing on the apostolic faith in its teaching and worship. ● is a Catholic and Reformed church. ● is able to trace its roots to the earliest days of Irish Christianity. ● is a church with three orders of sacred ministry – Bishops, Priests and Deacons. ● has services which follow an accepted liturgical form and structure. ● has one prayer book – The Book of Common Prayer (2004) – plus other services authorised for use by the General Synod. ● keeps a balance in doctrine and worship between Word and Sacrament. ● has the Holy Communion or the Eucharist as its central act of worship. ● is one church embracing Northern Ireland and the Republic of Ireland. 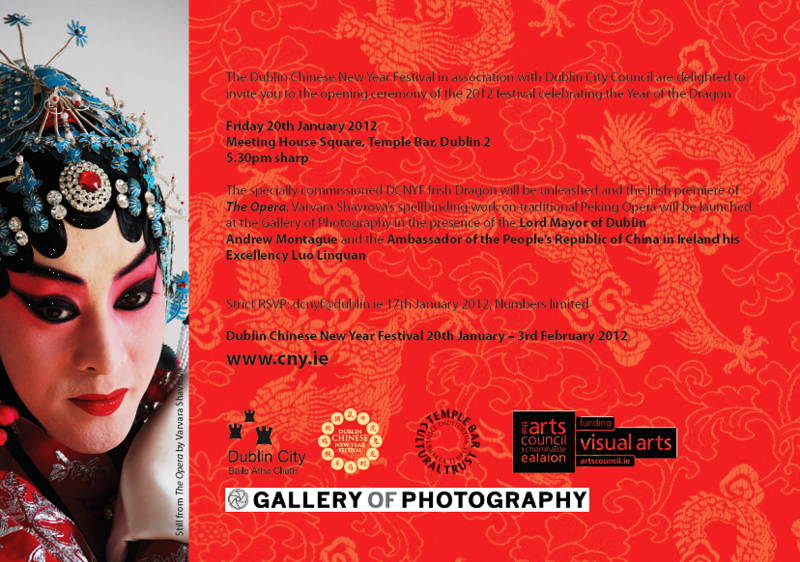 ● has around 378,000 members – 249,00 in Northern Ireland and 129,000 in the Republic of Ireland (Census 2011). 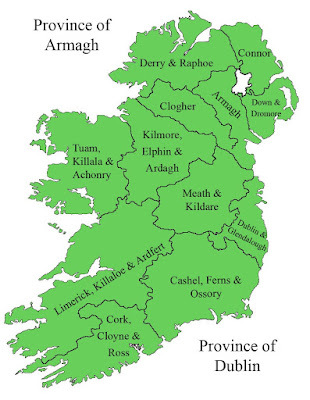 ● has two provinces, Armagh and Dublin, each with an Archbishop. ● has 12 dioceses, over 450 parochial units and over 500 stipendiary clergy. ● is a representative church, with each diocese electing those who will represent them at the General Synod, the ‘Parliament’ of the church. ● has in its General Synod a House of Bishops which has 12 members and a House of Representatives which has 216 clergy and 432 laity. ● also has Diocesan Synods where representatives of the parishes meet usually once a year. ● has a parochial system where decisions at local level are made by Select Vestries whose lay members are elected each Easter by the people of the parish. Is that a good enough, concise and precise, summary of the Church of Ireland? How do you introduce family members, friends, neighbours, strangers to the Church of Ireland? How were you introduced to the Church of Ireland? There are other definitions of what it is to be an Anglican. And we shall encounter some of this in the course of this module, and as we look at the wider Anglican Communion. An analysis of the latest census figures (2011) by the Central Statistics Office was described in The Irish Times [19 October 2012] as providing us with a ‘Portrait of a population growing in diversity’ in the Republic of Ireland. Just five religious affiliations were mentioned half a century ago in the 1961 census, but the 2011 Census refers to more than 20 religious affiliations, and also has a category for ‘other religions,’ which was ticked by 56,558 people. Interestingly, there are also 64,798 divorced [Roman] Catholics – 27,468 males and 37,330 females. One in 10 Church of Ireland members in the workforce has an occupation in agriculture and related activities. The figures show the Church of Ireland population has a much higher proportion involved in ‘Farming, Fishing and Forestry’ (7.1 per cent) than the population as a whole (3.6 per cent). The overall number of people employed in ‘religious occupations’ has declined, from 6,618 in 2006 to 5,817 in 2011. But, interestingly, the numbers of Church of Ireland members employed in ‘religious occupations’ has increased, from 308 in 2006 to 316 in 2011. In terms of ecumenical relations at an inter-church level, this is certainly challenging. In past, we have traditionally spoken of the four main churches, meaning the [Roman] Catholics, the Church of Ireland, the Presbyterians and the Methodists. But the combined total of Presbyterians and Methodists at 31,442 is now eclipsed by the total number of Orthodox, and the Methodists have slipped behind the Apostolic and Pentecostal churches in numerical terms. UK, 21,474; Lithuania, 1,589; Nigeria, 1,534; Poland, 1,235; Other African, 590; Germany, 438; South Africa, 420; Latvia, 335; USA, 333; China, 303; India, 279; Australia, 239; Canada, 162; and Netherlands, 155. After that, it is down to double and single figures, but we even have one each from Bulgaria, Greece, Luxembourg and Malta. There are more Lithuanians than Nigerians in the Church of Ireland, yet, while we have appointed a Nigerian priest to work with the African population, we have not appointed a priest to work with the large number from the Baltic and Nordic countries who are members of the Church of Ireland and who are our pastoral responsibility under the Porvoo Agreement. 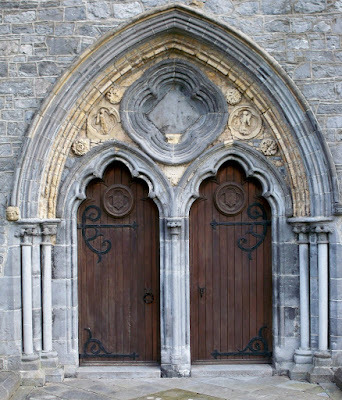 There are 976 Church of Ireland members of the Travelling Community (3.3% of the total) – interestingly this is a higher proportion within the Church of Ireland than the proportion of the Church of Ireland population in the population as a whole (2.75 per cent), or the proportion of the Traveller community in Co Wexford as a whole (1,504, or 1.1 per cent), and more in number that the Travellers living in either Carlow, Kilkenny or Wicklow, for example. On the other hand, the Church of Ireland has seen a drop in members in Northern Ireland, along with many other churches, including the Methodist Church. The 2001 UK census shows the Church of Ireland in Northern Ireland had 257,788 members, or 15.3 per cent of the population. The 2011 census shows the Church of Ireland in Northern Ireland has 248,821 members, down to 13.7 per cent of the population. The largest denomination in Northern Ireland is the Roman Catholic Church with 738,033 members or 40.8 per cent of the population, followed by the Presbyterian Church with 345,101 or 19.1 per cent. However, the Church of Ireland in the Republic has shown substantial growth in the last three national censuses; its membership is now back to the level it was over 60 years ago – albeit with fewer churches and fewer clergy. Church membership increased by 8.7 per cent in the period 2002-2006, during which the population as a whole increased by only 8.2 per cent. Of course, Church membership, counted according to Church affiliation entered after each name, does not equate with Church attendance, or active participation in the life of the Church. ● Being an ‘accustomed’ member of the parish – going to church regularly in a particular church. ● The impact of the Ne Temere decree from 1908 onwards on ‘inter-Church’ marriages. ● The ‘Great War’ or World War I. On the other hand, the General Synod sent an official delegation to Michael Collins to ask if they were ‘permitted to live in Ireland or if [it is] desired that they should leave the country’ – this despite the role of many members of the Church of Ireland in the War of Independence, including Constance Markiewicz (Constance Gore-Booth), Erskine Childers, Sean O’Casey and Robert Barton, and that the first President of Ireland would be a son of the rectory, Douglas Hyde. Did we imagine a new, separate ‘ethnic group’? From 82,840 members in 1991 to 121,229 in 2006 is an increase of over 46 per cent in membership of the Church of Ireland in the Republic of Ireland. The latest increase by 7,810 to 129,039 is another rise, this time of 6.4 per cent. The 2006 Census in the Republic of Ireland shows the numbers of people describing themselves as members of the Church of Ireland increasing in every county. The highest percentage growth was in the west – Co Galway, Co Mayo and Co Roscommon; and the largest numerical growth was in the mid-east region – Co Wicklow, Co Kildare, and Co Meath. Co Wicklow is the county with the highest proportion of Church of Ireland members (6.88 per cent). Donaghmore (27.3), Donard (7.5 per cent) and Dunlavin (7.4 per cent) is one parochial union in the Diocese of Glendalough. In the six furthest western counties, taken together – Mayo, Roscommon, Galway city and county, Clare, Limerick city and county and Kerry – the Church of Ireland figures have more than doubled, from 6,831 in 1991 to 15,839 to 2006 – an increase of 9,008 or 132 per cent, and, I imagine, welcome news in the Diocese of Tuam and the Diocese of Limerick and Killaloe. In the midlands farming counties of Wexford, Carlow, Kilkenny, North Tipperary, Laois, Offaly, Westmeath and Longford – the Church of Ireland figures have increased by almost 40 per cent, from 14,342 in 1991 to 19,972 – an increase of 5,630 or 39 per cent, and, I imagine, welcome news in the Diocese of Cashel and Ossory, the Diocese of Limerick and Killaloe, the Diocese of Meath and Kildare, and part of the Diocese of Kilmore, Elphin and Ardagh. On the other hand, in border counties of Cavan, Monaghan and Donegal the increase has been more marginal (3 per cent). Allowing for inward migration and natural increases, this may, in fact, reflect a decline in those counties. In Tuam, Co Galway, the Church of Ireland population grew from 10 to 121 – a twelve-fold growth, in Carrick-on-Suir, Co Tipperary, from 16 to 122, almost eight-fold. In Ennis, Co Clare, the Church of Ireland population increased from 68 to 400 – a six-fold growth, in what is, numerically, the least Protestant county in Ireland. In Galway City, the Church of Ireland population grew from 260 to 1,383, in Navan, Co Meath, from 111 to 541, and in Kildare Town from 32 to 177, virtually five-fold increase. In Newbridge, Co Kildare, it grew from 91 to 402. The Church of Ireland population of Dublin city and county, and the neighbouring counties of Wicklow, Meath and Kildare, increased from 40,428 in 1991 to 53,642 in 2006 (37 per cent). This is below the overall figure of 46 per cent, but it means – if this trend is continued in an analysis of the 2011 figures – about half the Church of Ireland population in the Republic probably lives in two dioceses: Dublin and Glendalough, and Meath and Kildare. We have fewer farmers and fewer urban working class members of the Church of Ireland. Almost half fit into the social statisticians’ category of ‘professional, managerial, technical’ – typical Irish Times readers, if you like. On the other hand, an analysis of the census figures for 27 March 2011, show the Church of Ireland has seen a drop in members in Northern Ireland, along with many other churches, including the Methodist Church. The 2011 UK census shows the Church of Ireland in Northern Ireland has 248,821 members, or 13.7 per cent of the population – which is more than 26,000 less than the 275,000 on the website. The largest denomination in Northern Ireland is the Roman Catholic Church, with 738,033 members or 40.8 per cent of the population, followed by the Presbyterian Church with 345,101 or 19.1 per cent. The Church of Ireland predominates among Protestants in the Lagan Valley, North Armagh, south Tyrone and Fermanagh, and parts of the far north of Co Antrim, as well as among the working-class population in Protestant areas of Belfast. The nature of religion has changed in both the Republic of Ireland and in Northern Ireland in recent decades. What does this mean for the future of Church of Ireland identity in those two regions? Those who remain may, I fear, as the ‘real’ unemployment figures rise further, face increasing resentment that may be expressed in racist terms. The jobs that were once despised, and left to Chinese workers who came here on ‘student’ visas, are becoming attractive once again to our own teenage and young adult children – the late night grille at fillings stations, the cleaning and casual labouring shifts, the stacking and shelving jobs in the middle of the night in supermarkets. These are major moral issues for the Church today. Any outside observer or commentator looking at the Church of Ireland and the Anglican Communion over the past ten years or so would have thought the only moral issues we face are those that dominated the agenda at Gafcon and the Lambeth Conference in 2008. Recent research at Maynooth University found that more than 167 different languages – from Acholi to Zulu – in use by 160 nationalities among the people in Ireland as their everyday first language of choice. The Romanian population is largely Dublin-based. There may be 20,000 Romanians in Ireland. Although the numbers are dropping significantly at the moment, according to the priests of the Romanian Orthodox Church. They recently opened a new church in Hartstown in west Dublin. 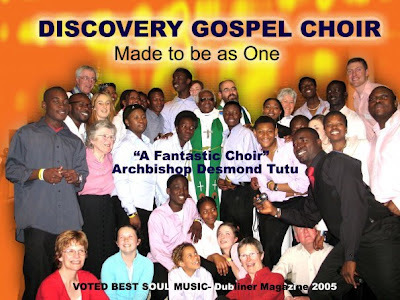 A positive example of the Church of Ireland has adapted and changed is provided by the Discovery programme based at Saint George’s and Saint Thomas’s Church in inner city Dublin, including the Discovery services, choir and chaplaincy. The implications for ministry are obvious. We must be willing to be adventurous and innovative, who are risk-takers. We are ordained to be ‘messengers, watchers and stewards.’ But instead, parishes often want their clergy to be building surveyors, caretakers and boiler-fixers. A negative example comes from hospital chaplaincy. I heard someone say recently not that he, but other members of the Church of Ireland, would not like the idea of a black African chaplain visiting the wards. Why not? He protested that he is not racist. But the implications are disturbing. The national school has moved to a new building. Other schools in area were giving priority to Roman Catholic children, and so their school rolls were full. After the new school opened under Church of Ireland management in September 2010, the number of children reached 240-250. Of these, 80% were Nigerian by birth or parentage, 10% were from Eastern Europe or other nationalities, and 10% were Irish-born. In the senior infants’ class, there were 31 children, of whom three were ‘white,’ and of those, only one is Irish-born. How best can we use our Church buildings? The former Church of Ireland parish churches in Harold’s Cross and Leeson Park are now being used by the Russian Orthodox and Romanian Orthodox Churches, while Saint George’s and Saint Thomas’s, and the parish churches in Donnybrook, Swords and Tallaght have provided hospitality for various Syrian and Indian Orthodox communities. Is there still a sense of ‘Protestant identity’ – north and south? According an opinion piece by Mary Kenny in the Irish Independent some years ago, 10 per cent ordinands in the Church of Ireland were former Roman Catholics. Three years ago (2013-2014), if you included deacon-interns and other categories among ordinands, the figure was 14.3 per cent. Two years ago (2014-2015), the figure was below 7.2 per cent. Last year (2015-2016), the figure was 10 per cent. This year (2016-2017), the figure is 7 per cent. Does it matter? 2.1: Early Irish Christianity and the Anglican reformations in the 16th century. 2.2: The Tudor, Stuart and Caroline Settlements. (Revd Canon Professor) Patrick Comerford is Lecturer in Anglicanism, Liturgy and Church History, the Church of Ireland Theological Institute. This lecture, on 9 December 2016, was part of MTh module, TH 8825, Anglican Studies in an Irish context, (part-time, Years III-IV).